Did you know that Volkswagen only sold 330 Beetles in their first year in the United States? It’s true, but obviously times have changed as these sleek, people-first cars can be seen all over the roads these days. And if you’re an owner, you know firsthand how much VW drivers love their cars. We at Joe Davis AutoSport know all about that, too! At our Perkasie VW repair facility, you’ll meet our team of VW specialists whom all have a strong passion for these German autos and the technical skills to boot. 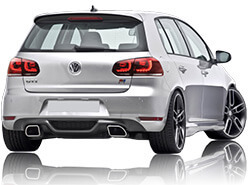 They are ASE Certified and provide dependable and no-nonsense VW repair service to our valued customers. We also guarantee speedy service, thanks in part to our relationship with leading parts suppliers. That bond allows us to hand your keys back over to you as quickly and efficiently as possible. With our 24 month / 24,000 mile warranty and our commitment to providing expert service at the very best value, you can trust us to be your reliable alternative to pricey dealership services. If you need to drop of your vehicle for service, be sure to take advantage of our free shuttle service or our available loaner cars. We invite you to call us, schedule service online, or contact us today for all of your VW repair needs.